This is the fourth of a series on brewery visits. 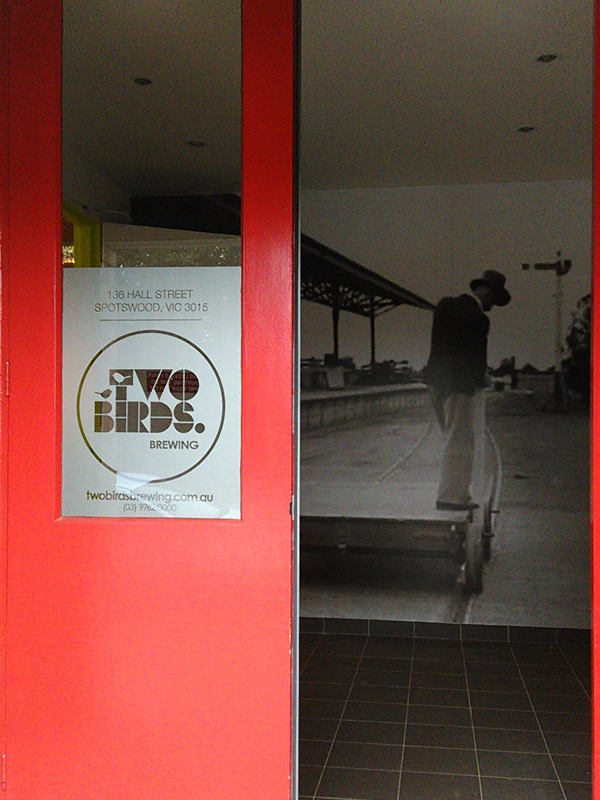 April saw a much anticipated, and well overdue, visit to the relatively new brewery for Two Birds. 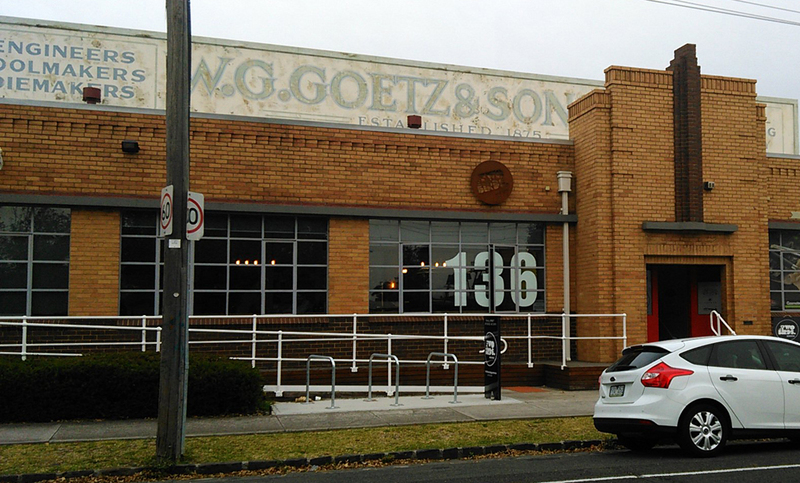 Located in the Western suburb of Spotswood it is a very welcome addition to a side of Melbourne lacking in craft beer supply. The beers from Two Birds have consistently been of a high quality. When you pick up a bottle or order a pint of their beer, you know you’re getting the same taste from last time. And they make some really tasty beers. If there’s a second key theme across Two Birds beers it is the limited range of solid tasty beers. Their first beer was a Golden Ale, rather than pale ale that most breweries kick off with. Next was the Sunset Ale an amber ale, and still my beer of choice for an amber. There was a bit of a wait before a new beer then came Taco, a spiced pale ale, and most recently the Bantim their IPA. As a brewing company, Two Birds has only been around four years but the people behind it have many more years of brewing knowledge. Head brewer Jane originally started in Western Australia making wine, it was eventually time to move and that was to beer. 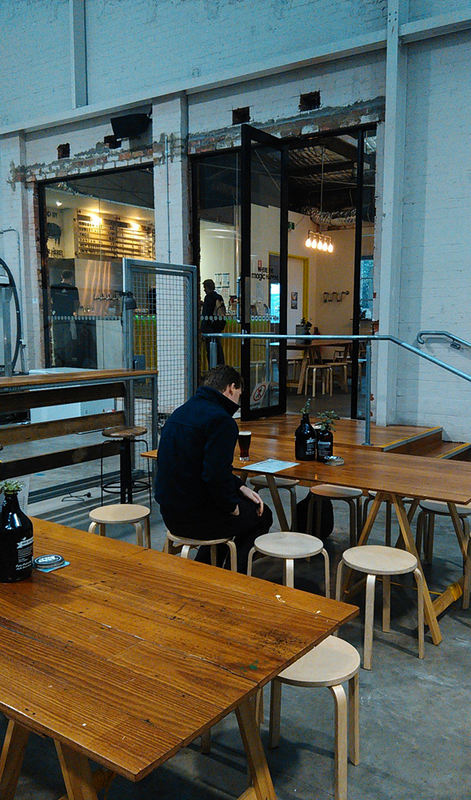 First at Little Creatures and then over to Melbourne at Mountain Goat. Working with Danielle led to the creation of Two Birds in 2011. 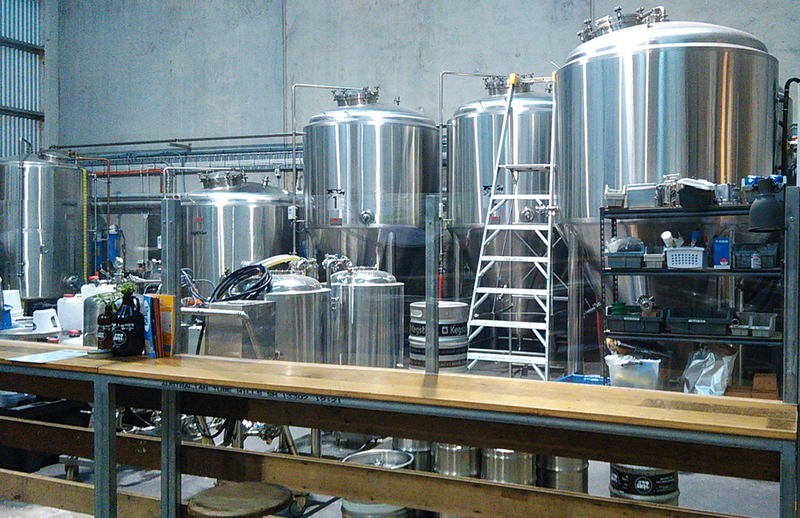 Many contract brews would be done before they would open their own site in Melbourne. The brewery is a new one. Shiny brand new equipment from Canada. 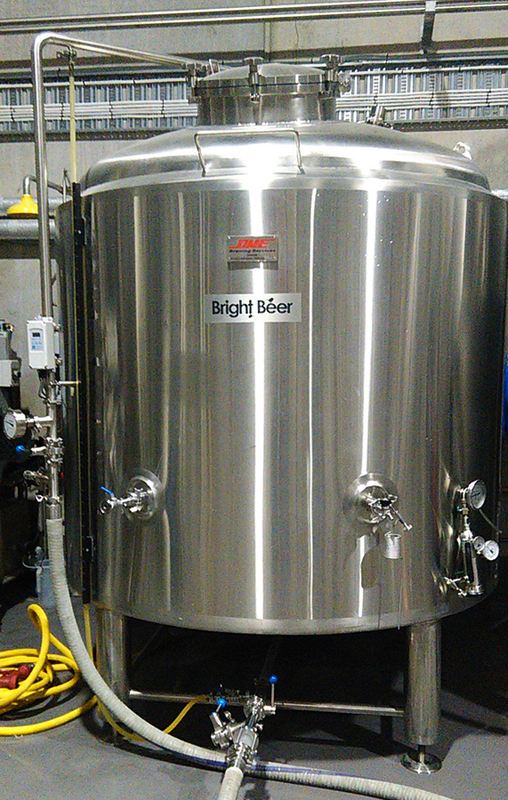 Brewing started in June 2014 with the bar opening in July. The set up is exclusively for kegged beer. All bottling is still done over in Western Australia. That means that they can focus on new experimental and one-off batches in Melbourne. While the steady bottling line is ticking over on the other side of the country. The future is looking bright for Two Birds. With a solid reputation and plenty of respect from the brewing community they have a built the base for a solid future. And they know that. The set up at the brewery had been done with thoughts of future expansion. 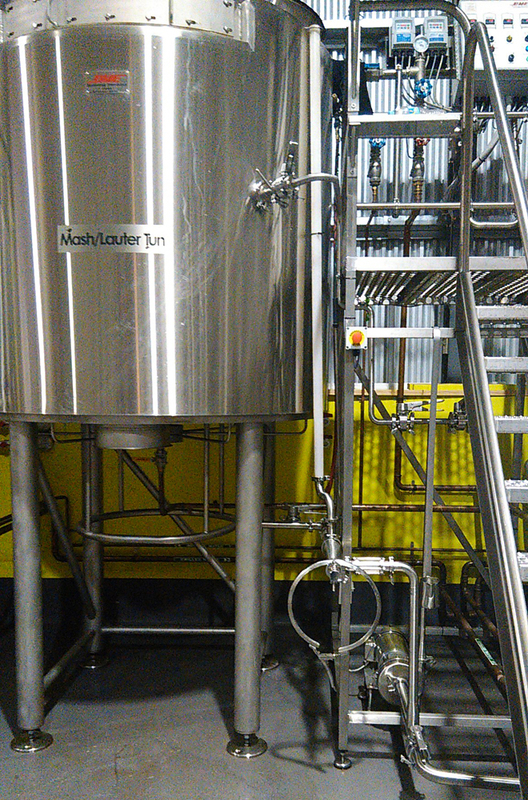 Shiny metal neatly packed together along one side with space aplenty on the other side of the big open brewing area. Then in the middle of one side a table area for the public to sit back and enjoy the space and clean openness. I like it a lot. In the main area with the bar, there’s clean wood chairs and long tables. 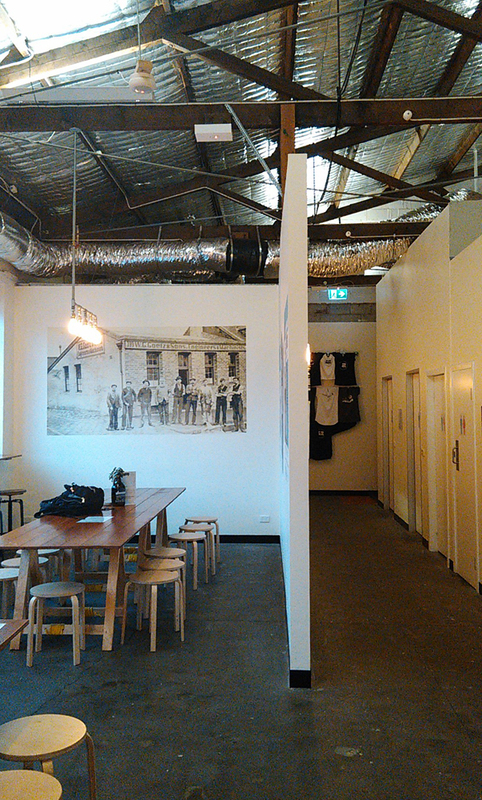 High ceilings, clean walls and minimalist fittings are broken up with photos of what the Spotswood area was like dating back to early 20th century, maybe earlier. The bar itself isn’t big. The four regular beers are on tap, a few collaborations or one off batches can easily be accommodated. Plus a couple extra taps available if needed. They even have a proper filler for growers and squealers if you want take away beer. The tour is amazing. Hands down best one in Melbourne I’ve done. We had a group of six friends. Our guide was the husband of one of the owners (sorry, forgot names). We skipped the 101-basics (“beer is made from four ingredients…”) and went straight into info about Two Birds. Plenty was covered as we slowly made our way past the equipment including the history and some details on their brewing process. The story of how they started, brewing on other people’s equipment, challenges setting up a brewery and getting quality equipment which took seven months. One key part for Two Birds is the quality process and testing they are always doing, and that includes everyone working for the company in some way. After the walk around we all sat down to sample beers and talk more. Discussed each beer, its story and development, uniqueness or challenges, and what we were getting from the beers. More stories were shared and chatted about the brewing industry. We had fun. And it all lasted over 90 minutes. Simply fantastic. It costs $10 per person and you get that back in the volume of beer, plus some, all on top of the great insights and information. If this place was near me I would be a regular. The food range is quite good. Snacks, small meals and big ones. Plus sweets and cheese boards. Even food for kids. And what’s even better is the quality. Top stuff. Looking forward to next visit for cheese and beer matching, heaps of fun! I strongly recommend making the trip out to the west side of Melbourne and visiting Two Birds. Well worth your time. I’m already looking forward to my next visit. Werribee train from city to Spotswood station, then walk 5 minutes down. 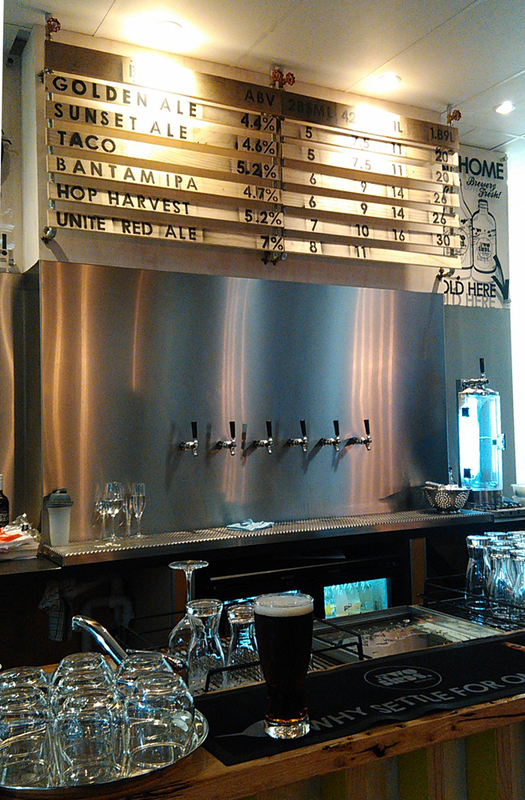 Beer: 6 fixed taps. Possibly extra 2 taps. Four regulars and two rotation taps. Usually one or more guest beers/collaborations. Snacks, smalls, bigs, cheese boards, sweets and even food for kids. Specials menu. For any extras (if available). About 45-60 mins. Required to have closed footwear or wear gumboots (supplied). Includes brewery history, beer brewing process, walking around equipment. Sit down and tasting 6 samples, each 150ml. Get a group of mates and book in the tour. Plan to stay for a few hours to really enjoy the place. Don’t rush yourself, there’s plenty of different beers and some really tasty food to take it easy.